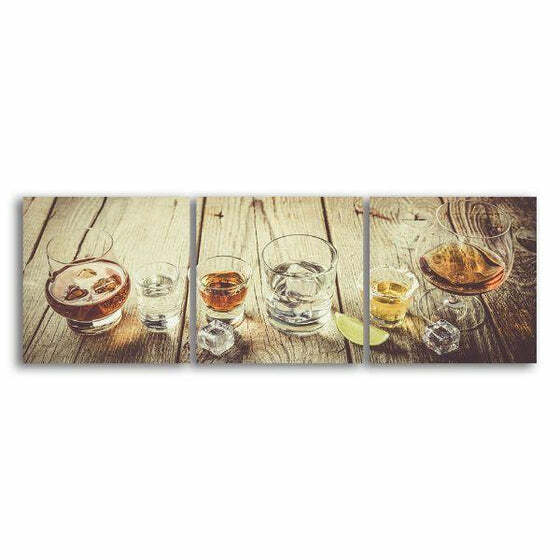 The Alcohol Train Shots 3 Panels Canvas Art will give you the extra boost to make your day special! 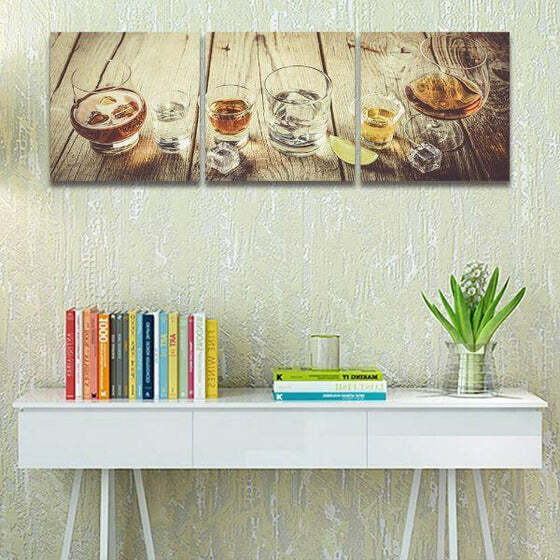 This canvas wall art set features glasses filled with decoctions laid on a wooden table. 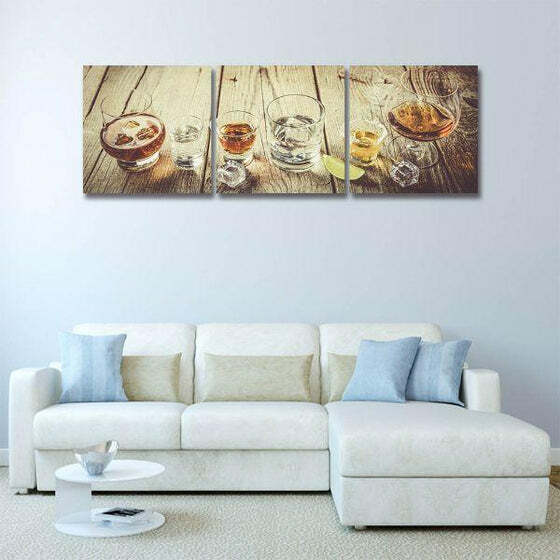 A liquor-inspired art print that can draw everyone's attention to making a dull space turn into a lively space to indulge. 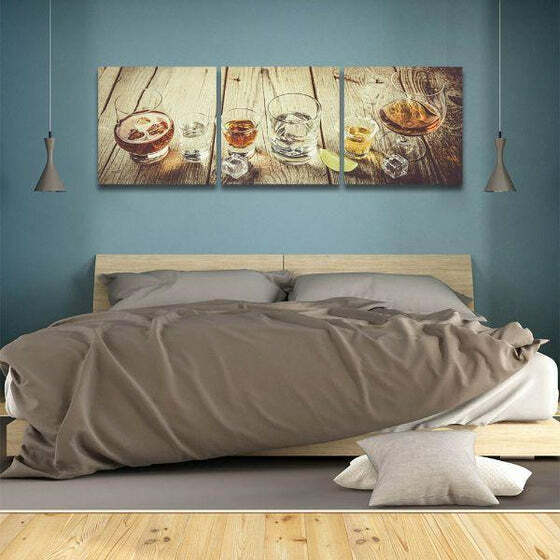 Achieve that bar-themed room that you want when you hang this visually enticing drink-related canvas print in your home wall! 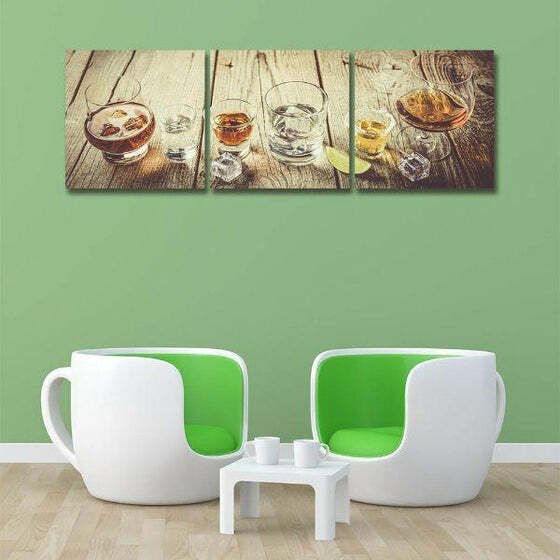 Grab your own wall decor now to enjoy up to 50% discount and FREE SHIPPING WORLDWIDE! Buy now! 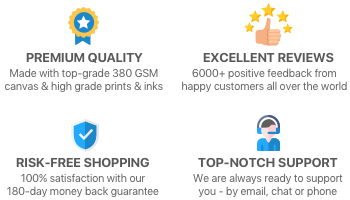 Hi quality product! Thanks for the free shipping and discounts. I'll buy again the soonest!